Listen to Theresa Brentnall explain why the life of Jesus is so important and how to commandments He gave are so impactful on out lives today. Part 2 of of our Jesus Driven Church series, Pastor Elijah unpacks evangelism. Today we step into a new series, for the next 4 week we will look at what it means to be a Jesus Driven Church. Guest Speaker Tyler brings the final part to out BLESS series. This week we focus on sharing your story, Tyler highlights three parts to all of our stories what life was like before Jesus, how we met Jesus and what life is like now. Pastor Elijah Kirby shares the 4th Part of this series. Week 3 of our Bless series and Rachel Burns challenges us on the importance of community and the importance of eating together. Pastor Jo Kirby brings the second part of our series... Listen. Listening is such a big part of our faith walk, we need to slow down and listen to what the Holy Spirit is calling us to do. Find space this week to be still and listen. Pastor Elijah Kirby launches our new series B.L.E.S.S. Over the next 5 weeks Elijah has encourage us to pray for 5 people, who is on your list? Proverbs 21:31 The horse is prepared for the day of battle, but the victory belongs to the LORD. As a church we need to be ready for what God is calling us into, over the next few weeks we will explore certain areas as believers we need to develop. This week we have visting speaker Pastor Jon Cook sharing with us the importance of walking this journey together. We are a natural people with a supernatural task. We have been given the keys to the Kingdom. Many believe in Jesus ministry but few understand how to live it out in practical ‘naturally supernatural’ ways. Hear Nathan's story of God's influence in his life, how God was with him since before he was even born and has had His hand upon him since. A fantastic testimony of what has lead Nathan to this place of making a public declaration that Jesus Christ is his Lord and Saviour. Elijah brings us a special Easter Sermon about the Cross and how it acts as a bridge between us and God. "The cross is a bridge and we all have a bridge to cross". Mike Burns bring last piece of our vision is to impact our world by building people / structure / movement that is about growing big people. Nehemiah had a building project on his hands, that if he completed, would impact many people. So do we. Elijah takes us through the second part of our vision statement, discussing how Nehemiah's heart for his people can be a lesson for us as we seek to 'Reach Our Community' at Teesside Vineyard Church. We continue our series in Nehemiah, looking at how we apply the lessons we read there into building our church in Teesside. In the coming weeks we will be unpacking Nehemiah and specifically looking at how this incredible book can breath life, and speak truth into the vision we have as a church, as a collective and as an individual. Today I am looking at; How do we build our church? 1) Prayer, 2) Obedience, 3) Love - People Matter. This week our kids joined us in our main service and our children's leader Matt Brown shares how we are all God's children by looking at the story of the prodigal son. Elijah Kirby shares the final part of our Prayer Course series. In this sermon we explore our authority in Christ. We learn how to use our freewill to create a landing pad for God's will, and how to resist 'Principalities and Powers' in prayer. In this session Theresa teaches us how to discern the voice of God, and explore some exciting tools that can help us to engage with the Bible. Everybody can identify with unanswered prayer. Will you keep praying if God does not grant your requests or meet your expectations? How do we persevere in prayer? Intercession is praying for the Kingdom of God to come in our world. This week we explore how to pray for others powerfully. We also focus on Jesus - the ultimate intercessor. Elijah Kirby launches us into our series on 'Prayer' this week we look into the theme of adoration. God isnt a slot machine! You can enjoy God's presence in prayer and worship. Pastor Elijah brings a great challenge as we step into 2018, Elijah talks about 1) Focussing our Vision 2) Fixing our spiritual posture 3) Finding Hope. What a great time we had on Christmas Eve, the theme for the service was set as Narnia. As guests arrived they walked through a forest of trees into the main hall. What followed was service full of carols, games, chocolate and a great message from Pastor Elijah. Here is Sunday's message from our pastor Elijah Kirby sharing with us about the awesomeness of 'Emmanuel' which means 'God with us' and how we can celebrate this afresh in our daily lives this Christmas. 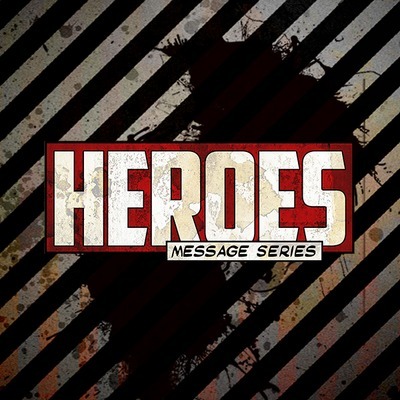 This is our final week in the Jesus Is series and hasnt it been great. As a church we've heard alot of amazing stories of how Jesus is working in the life of this church. Our prayer is that we as a church can be shaped by the life of Jesus, when we look at the word we allow the way Jesus lived to shape us. Join us as we commission our Pastors Elijah and Jo Kirby. This service is lead by our Vineyard Area leader Dave and Nicola Bass. As we continue our 'Jesus Is' theme, we are excited to here how God is working in and through individuals and couples at Teesside Vineyard. This week we have George and Fay talking about how Christ is their foundation, at home, work, friendship circles and when it comes to making decisions. This week we continue our 'Jesus is' Series and we get to step into the story of the incredible Jo Jones. We thank Jo for her bravery and openeness to share her story. At the end Lauren unpacks some biblical teaching on Gods Provsion. This week we continued our ‘Jesus is’ series by exploring the theme— my calling. We heard the honest, heart felt story of Ian and Gail Goodrich’s faith journey. They shared how important it is to not only listed to God’s call, but to be obedient to follow it. To conclude, Jenna wrapped up the service with two biblical truths about Jesus’ calling. First, He calls us to Himself in relationship (as we see throughout the Gospels), and then Jesus calls us out into the our community’s to share the good news and invite others into relationship with God (our great commission). In our Jesus is _____ series we will get to hear exciting stories of how God is working in the lives of Teesside Vineyard. This week we will look at the story of Ric and Terry, for many years as a family they have served our Church and Thornaby. In this interview, we unpack Ric and Terry’s story of trust and obedience through ill health and uncertainty. ** Unfortunatley for some reason we couldnt record the questions (They are typed up below) ** Elijah: Please share with a quick 2minutes of how you met, where you married and how many people make up the Dudley clan?Elijah: Today is titled Jesus Is Healer. Please can you unpack why that statement might be so relevant to your strory?Elijah: A quick Q) What are your thoughts on if God can still heal today? Have you ever seen a person be miraculously healed?Elijah: Can you share with us about recent events? What happened, how did you feel and how did you manage to just trust during those times?Elijah: Ric you said something profound in the middle of this. You said "We want to set an example to our kids, that even in the middle of the storm, we want to be obedient and trust." Where does that faith and certainty come from? Can you explain thatElijah: What would you say to people today who are perhaps are wanting some sort of healing, or know people who do? On 31st October 1517 Martin Luther pinned up his 95 statements protesting against the corruption in the church and against the teaching that says we are saved by faith plus works. This kick started a wake up call across the church in Europe. We finally remembered who Jesus was, what he has done, and from that, we remembered that we are saved purely through putting our faith in Jesus. The Reformation had 5 slogans - Scripture Alone, Faith Alone, Grace Alone, Jesus Alone, For the Glory of God Alone. On 31st October 1517 Martin Luther pinned up his 95 statements protesting against the corruption in the church and against the teaching that says we are saved by faith plus works. This kick started a wake up call across the church in Europe. We finally remembered who Jesus was, what he has done, and from that, we remembered that we are saved purely through putting our faith in Jesus. The Reformation had 5 slogans - Scripture Alone, Faith Alone, Grace Alone, Jesus Alone, For the Glory of God Alone. This week Mike Taylor guides us through Ephesians 2:1-10 as we look into 'Grace Alone'. On 31st October 1517 Martin Luther pinned up his 95 statements protesting against the corruption in the church and against the teaching that says we are saved by faith plus works. This kick started a wake up call across the church in Europe. We finally remembered who Jesus was, what he has done, and from that, we remembered that we are saved purely through putting our faith in Jesus. The Reformation had 5 slogans - Scripture Alone, Faith Alone, Grace Alone, Jesus Alone, For the Glory of God Alone. This week Elijah Kirby guides us through 'Faith Alone'. On 31st October 1517 Martin Luther pinned up his 95 statements, protesting against the corruption in the church and against the teaching that says we are saved by faith plus works. This kick started a wake up call across the church in Europe. We finally remembered who Jesus was, what he has done, and from that, we remembered that we are saved purely through putting our faith in Jesus. The Reformation had 5 slogans - Scripture Alone, Faith Alone, Grace Alone, Jesus Alone, For the Glory of God Alone. This summed up all that the Reformers wanted to make their stand on. Through October we'll be exploring each of these slogans beginning this week with Scripture Alone. Week one of our 'Word and Spirit' series. Theresa Brentnall brings a powerful message that we look forward to exploring more in our Connect Groups. Elijah speaks to us from Galatians chapter 6, how we allow ourselves to be transformed. In order to get the most out of today we need to Re-frame what we understand freedom to mean. Clarify what God means by Freedom and finally looking at how we can live in that freedom, with a delicate balance of Faith and Grace. First, the Judge declares us 'not guilty' - amazing! But then it gets better... the judge steps down and declares us his son. In Galatians Chapter 4 we see Paul's heart as he longs for the Galatians to grasp these incredible truths. Jenna brings us today's word from Nehemian, the first time she's preached at Teesside Vineyard. She did great, well worth a listen. (Apologies for the poor audio quality, we had to go a bit off piste for technical reasons). This week our guest speaker, Dennis Johnsey, all the way from Mississippi, brings us the second episode in our latest series about Nehemiah, and how we build our church from the lessins we learn there. Elijah brings us the first in our new series 'Building Home' where he looks at what are our next steps as a church? 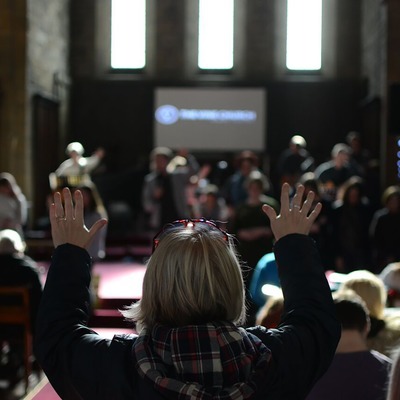 Listen back to Mike Taylor bringing us the word this week on being Naturally Supernatural followed by the testimonies of the 4 girls who were baptised when we gathered at Saltburn after the service. Today we shared the new name and vision for Teesside Vineyard Church! 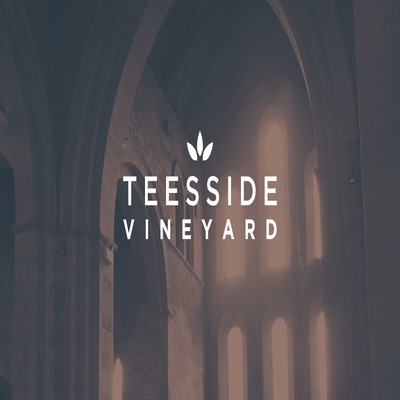 We intorduced why we felt it important to change our name from The Vine to Teesside Vineyard Church and shared our new vision statement, Love God, Serve People, Transform Teesside. Rachel Burns brings us her biblical hero, Esther. Matty Steel brings the Easter message based around Luke 24:1-12; sharing the evidence of Jesus existence and resurrection. Matty Steel continues the Heroes Series on Mother's Day with a hero mother, Mary. Based on Luke 1:26-38 "Birth of Jesus Foretold"
Mike Taylor kicks off the Heroes message series, showing how God chose the meek like Simon Peter and they became a biblical hero; from humble fisherman to Disciple; and how they can inspire and influence us in the 21st Century! Based around: Luke 5:1-11 - "Jesus calls first Disciple, Simon Peter"Matthew 14:22-32 - "Jesus and Peter Walk on Water"